Brian Griffin is back from the dead for a very special Christmas episode of Family Guy. “I mean, you didn’t really think we’d kill off Brian, did you?” Family Guy creator Seth MacFarlane tweeted shortly after Sunday night’s Christmas-themed episode aired. 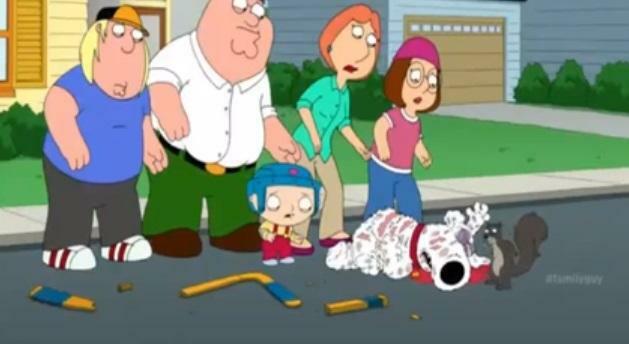 Three weeks ago, Family Guy killed off fan-favorite Brian Griffin, the show’s martini-drinking anthropomorphic writer dog. Brian Griffin, Stewie’s best friend, was hit by a car and almost immediately replaced by a new pet named Vinnie. 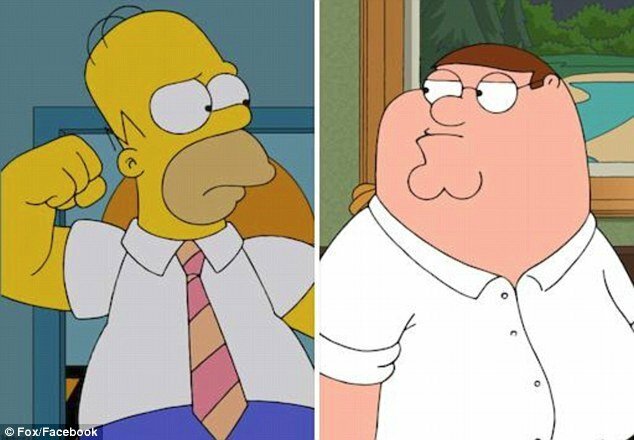 Around 25,000 Family Guy fans have signed a petition demanding Fox and the show’s creator bring back Brian Griffin. Viewers were left stunned when the talking dog died in the latest episode. 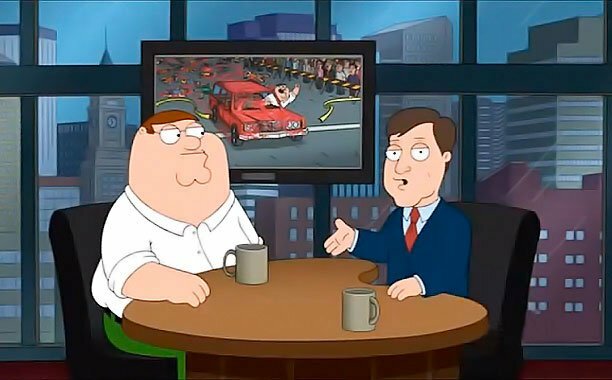 The character, voiced by Family Guy creator Seth MacFarlane, was killed off in an episode called Life of Brian after he was hit by a car. The fans have signed a petition on Change.org to resurrect Brian Griffin. 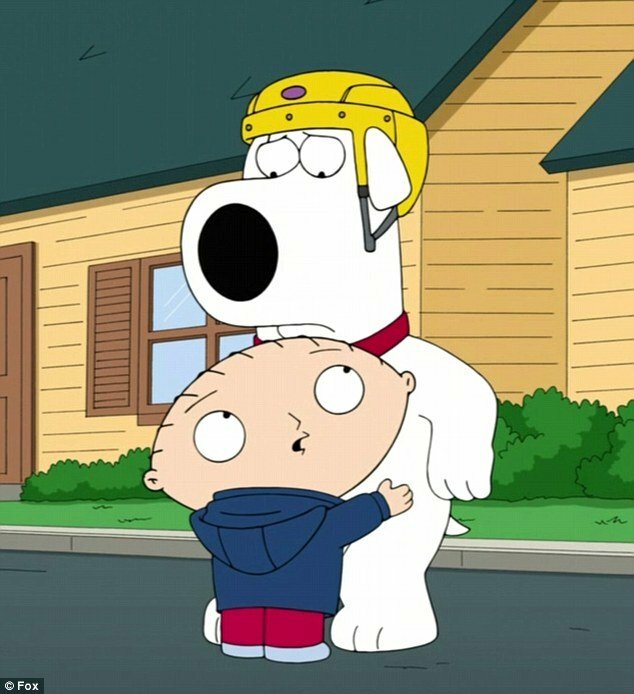 Brian Griffin, a family dog that talks, drinks, goes out with women and is an aspiring novelist, has been a major character since the pilot of Family Guy in 1999. The character has appeared in more than 200 episodes of the animated cartoon comedy. 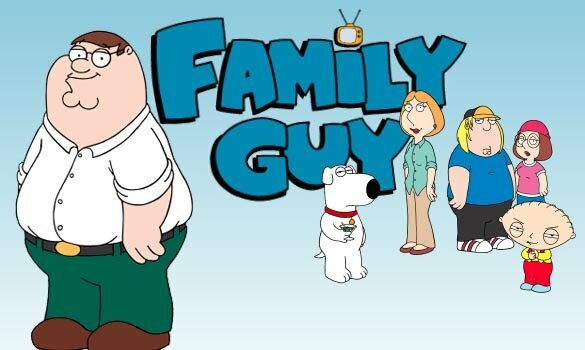 Family Guy, which is set around bumbling father Peter Griffin, his wife Lois, teenage children Chris and Meg and baby Stewie, is known for its raunchy humor. The show has been criticized by watchdog groups in the US and episodes often feature characters in compromising or inappropriate situations. The Emmy-nominated series is in its 12th season and averages 6 million viewers an episode in the US. Later in the sixth episode of Season 12, the family adopts a new dog, smart-talking Vinny voiced by Sopranos actor Tony Sirico, who quickly becomes part of the family even winning over Stewie by the end of the show. Representatives for Fox have so far declined to comment on Brian Griffin’s death. 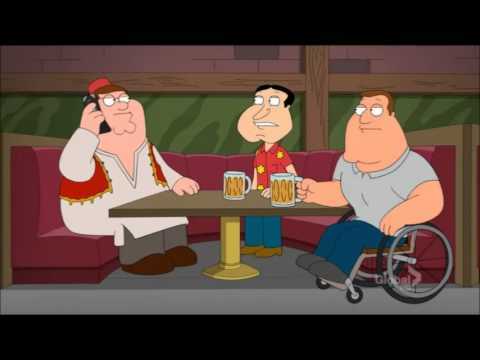 Episodes of comedy series American Dad and Family Guy were dropped on Sunday in the wake of Friday’s shootings in Sandy Hook Elementary School, which left 26 dead. Fox TV instead showed repeats of the shows to avoid broadcasting any potentially sensitive content. 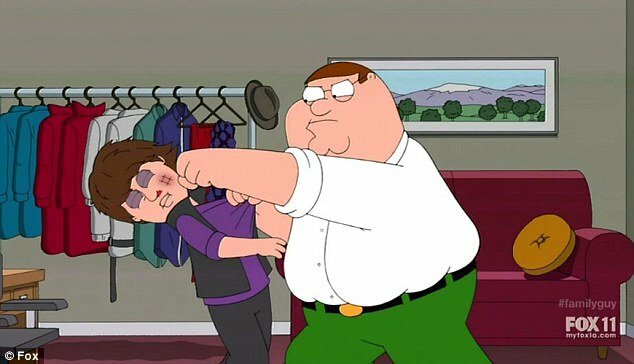 The billed Family Guy episode had featured a retelling of the nativity while in American Dad, a demon punished naughty children at Christmas. Meanwhile, director Quentin Tarantino has defended violence in movies. Quentin Tarantino’s latest film, spaghetti western Django Unchained, features graphic violence, including buckets of blood exploding from characters as they are shot. Django Unchained is nominated for five Golden Globes at next year’s awards. The Oscar-nominated director, whose work includes Inglourious Basterds and the Palme d’Or winning Pulp Fiction, said blame for violence should fall on those guilty of the crimes. But lead actor, Jamie Foxx, said he believes big-screen violence can influence people. He stars as the protagonist of Django Unchained, a slave living in the Deep South who sets out to rescue his wife from a brutal Mississippi plantation owner, played by Leonardo DiCaprio. Actor Christoph Waltz, who is also in the film, said he thought films did not provoke violence. “The media’s responsibility is greater than the story teller is because… Django is violent, but it’s not inspiring violence. He added that violence was part of the film because it tells the story of American history. Kerry Washington, who plays Django’s wife Broomhilda, said she believes the film’s explicit brutality serves an important purpose in educating audiences about the atrocities of slavery. On Saturday, premieres in Pittsburgh and Los Angeles for Tom Cruise’s new action film Jack Reacher and Billy Crystal comedy Parental Guidance were postponed in light of the shootings. Paramount Pictures said the decision for Jack Reacher was made “out of honor and respect for the families of the victims whose lives were senselessly taken”. The film opens with a sniper shooting several people dead. Fox said Parental Guidance was postponed “in light of the horrific tragedy”. Fox also confirmed that a scheduled repeat of The Cleveland Show for Sunday was swapped for a repeat to avoid any potential insensitivities. The gunman has been identified by police as Adam Lanza, 20. He shot dead his mother before driving to the school in her car.